The issue is raised regularly by concerned local residents who took the trouble to report the escapes and post about them on Facebook. 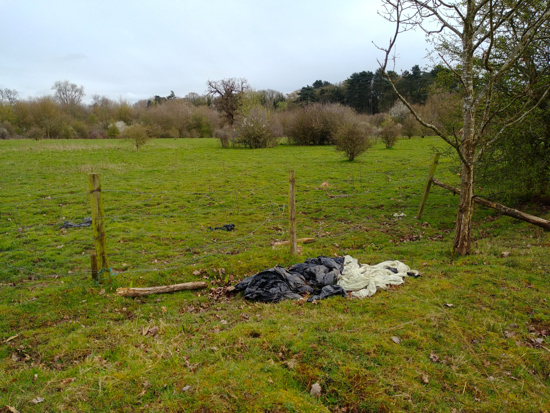 The escapes have also been covered on this site in recent months, although North Mymms News has not reported on every escape. At the point where it’s thought the horses escaped recently red and white tape has been strung across the gap in the broken fence. 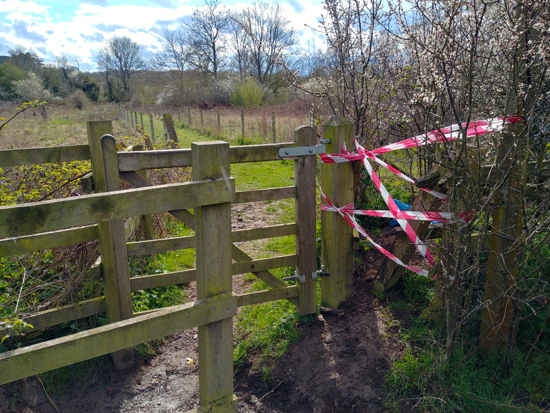 It’s hard to see how the makeshift barrier would stop a horse, although it appears that the horses have since been removed from that particular field at the north of Leach Fields. The owners of the horses have been contacted by police and council staff each time they escape, but the problem continues. 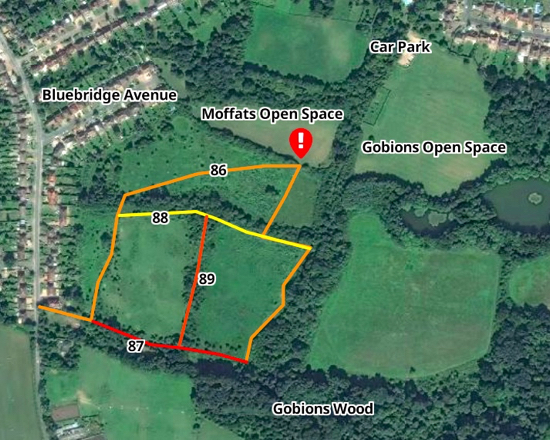 However, since that meeting there have been at least three escape of horses from Leach Fields resulting in the animals wandering into Gobions Open Space and Moffats Open Space. 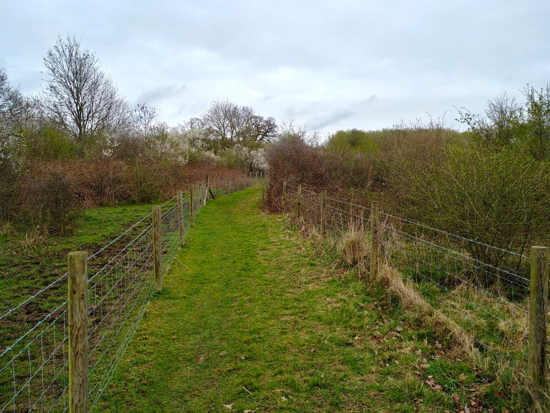 There are four public rights of way around and through Leach Fields. 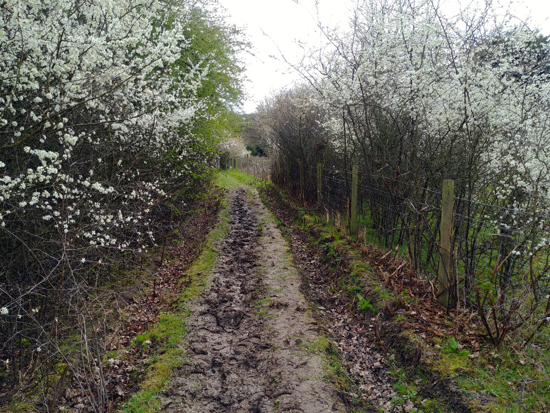 They are North Mymms footpaths 86, 87, 88, and 89, shown below. 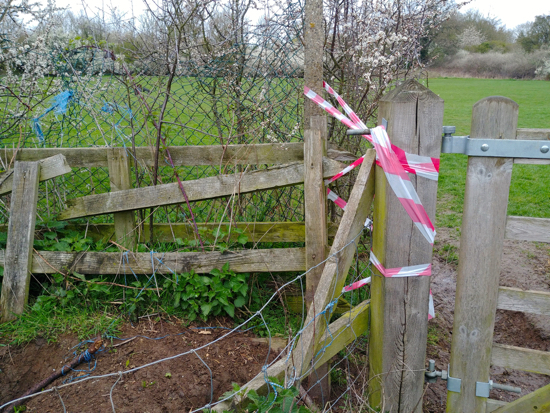 The section of broken fencing where the horses escaped on the last occasion is shown with a red marker on the map below. 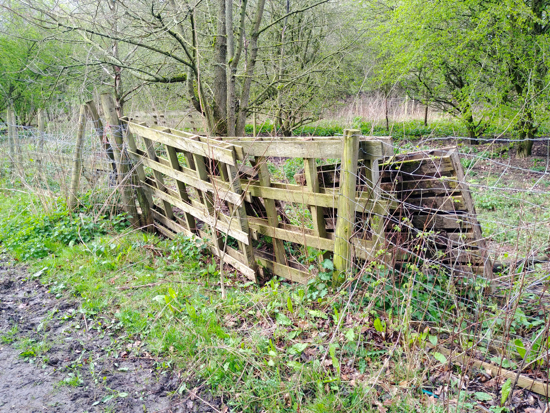 The fences around certain fields appear to be in good condition, but elsewhere they have been broken and the repairs appear flimsy. There is evidence that horses have been wandering along all four public rights of way. 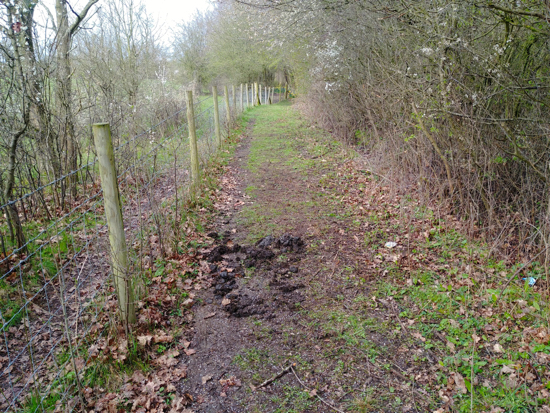 These footpaths are narrow and edged with barbed wire fences and hedgerow. If you see any escaped horses please report it to the local council and message this site by using the contact form at the bottom right of any page. If you are able, and if it is safe to do so, please consider taking photographs and sending them to this site.